Tour the Gallery of California Art, and learn about new project Tell Me Where the Mirrors Go, which captures a local family’s journey of discovery in the Gallery. Over several get-togethers with artist Maria Mortati, the Guzmán-Mondragón family developed and shared their sensibilities, their impressions of the space, what the Museum means to them, and their responses to individual works of art. These conversations are captured in the gallery with a tour and a video, which reflects their experience back to the Museum, and to you. 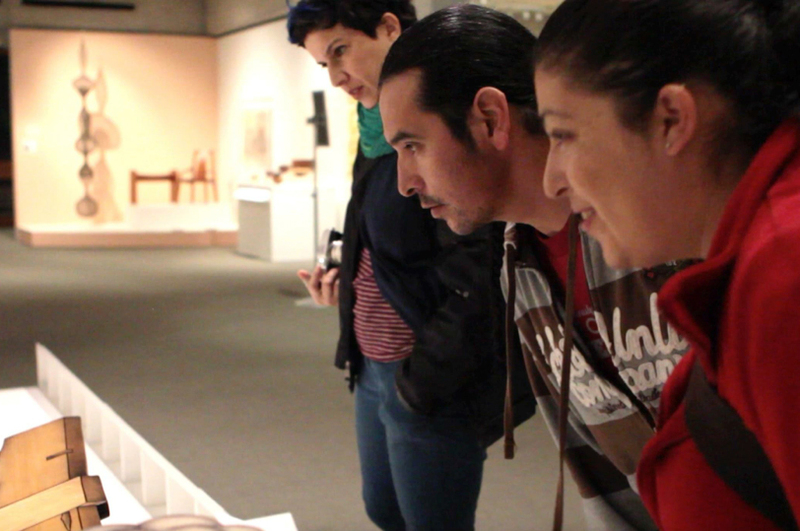 Join this family-friendly tour of the Gallery of California Art with OMCA Curator of Public Practice Evelyn Orantes, artist Maria Mortati, and the Guzmán-Mondragón family as they discuss the project, their selections, and the impact this project has had on them. Free and open to the public as a part of Free First Sunday.